2. Full scale image shown of: Three birthday dogs. 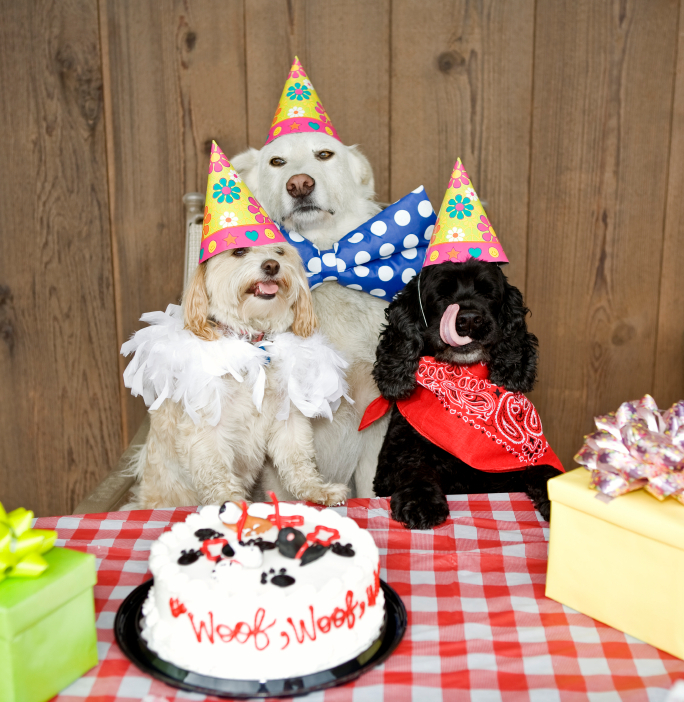 Picture Category: Pet Birthday .